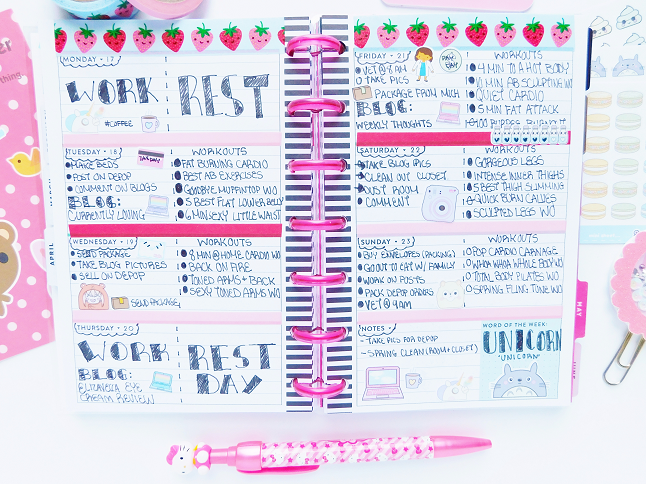 I'm back with another Me and My Big Ideas Happy Planner spread, mini edition! I've been activity using my mini MAMBI planner spread every week since getting it so it's time to share another spread with you all. Planner overview. I used thin red and pink washi tape in this week. I usually only use one color but I wanted to change things up. I also used a Strawberry printed washi tape (from Target) to line the top of the pages. Most of the stickers I used are from Sprinkled Pug. 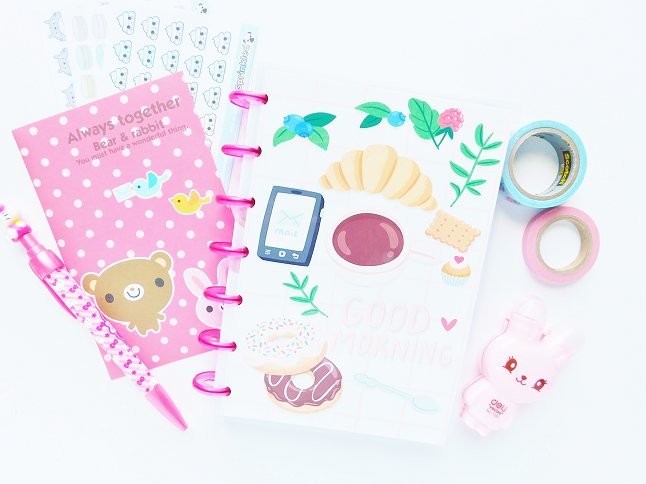 The mini stickers are the perfect size for the mini MAMBI planner. fFollow her on Instagram so you know when she's selling the mini sheet of stickers. Here is a closer look at my weekly spread. Like I said in my previous weekly spread I like to divide the horizontal boxes to separate my chores from my workouts. In case you are wondering I follow the Blogilates monthly calendar workouts. I try to workout 4-5x times a week and rest on the days when I work so I just pick and choose what days I want to perform.